Whether you want a warm getaway or a snowy wonderland, the United States offers the diverse climates and attractions you need for winter fun. 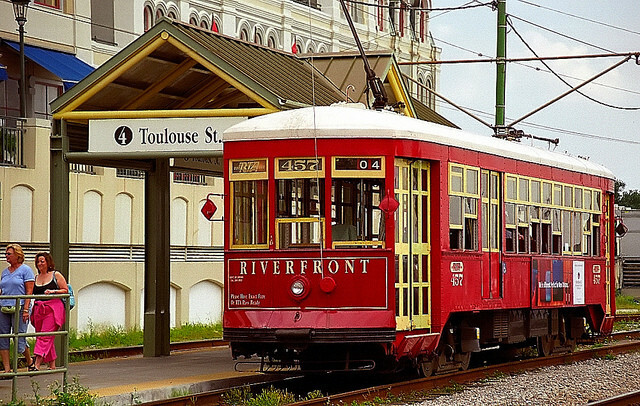 If a cultural getaway is your dream this winter, head to New Orleans. This city is known for its incredible jazz clubs, renowned cafes, and historical sites — all which are less crowded during the winter months. Hotel rates in and around the popular French Quarter decrease during the cooler (but still relatively warm) winter months, with the obvious exception of Mardi Gras. If you want to experience New Orleans’ rich history without the hassle of crowds or especially rowdy revelers, winter is the prime time to visit. Partiers from across the country descend on Miami during the winter. Temperatures remain high enough for long days at the beach, followed by wild nights at local clubs. The cocktails are strong, the music is energetic, and the locals are scantily clad, all which combine to create an electric atmosphere that’s the polar opposite of cozy nights by the fireplace in the snowy North. Those looking for deals can stay in upscale hostels near Miami’s hottest beaches at extra-affordable rates during the winter. Though it’s certainly no beach getaway, Chicago is worth the trip if you love the magic of the holidays. With Michigan Avenue completely lit up with holiday lights and beautiful storefront displays, you’ll be able to get your shopping done while soaking up the Christmas spirit. Meanwhile, the city has plenty of enticing indoor attractions where you can warm up from a day in the cold, including Broadway-caliber plays, cozy historic bars, and world-class restaurants. For those who have dreams of NYC at Christmas, Chicago does it just as well at better prices and with fewer crowds. For families who want to see the country’s best theme parks, there’s no better place to visit than Orlando. Meanwhile, winter comes with the best rates for both hotels and park entrance fees, creating the perfect conditions for a family-friendly winter vacation. There’s no shortage of activities to keep the kids happy on a trip to Orlando. Plus, families from cooler climes get the added benefit of a warm and sunny locale. For an escape to a true winter wonderland, a trip to Portland, Maine, is in order. The snowy surroundings create a wintry New England setting worthy of a storybook. Meanwhile, those who find the colder temperatures invigorating have plenty of options when it comes to outdoor winter fun, including cross-country skiing, sledding, tobogganing, and ice-skating. To warm up, head to a local brewery or visit antique shops, where both can be found in abundance here. Do you prefer a winter vacation to somewhere serenely snowy or to a place where you can shed the layers and enjoy sunshine to share? Share your ideas for a delightful winter getaway in the comments.